Can you imagine my surprise when I unpacked my new addition (which I have had a couple of sessions on) to see this ugly site. Anyhow, now I know what not to do after reading up post mortem. Can someone point me in the right direction to get my board repaired. I live on the Sunny Coast, but if there is a good repairer in Brisbane I will travel. Nasty.. I've seen something very similar to that on another brand board once from a friend who keeps his board in his car.. and on a hot day with the windows up the nose of the board coped the full sun coming through the windscreen causing the nose area to delam and bubble just like that.. It can be repaired ok.. How did yours happen? Went camping, it was in a bag sitting on the roof racks for a couple of days. Probably and a little wet from an earlier session that morning before we set off.. Funny thing is I didn't get to use it at all whilst we were up at North Shore. Really annoyed at myself, I look after my gear so well, and like the good stuff. Hopefully I can find a good repairer. Not that it's a funny matter in any way, shape or form, but is the Hokua trying to tell you it hates to dig the nose in on steep drops, and it's made up its own mind to increase volume up front to pop the nose out? Should just fill it you reckon, sell it as the "New Concept X32+". Mate, I have only had around 6 waves, really loved it. Tomorrow morning is meant to be a treat.... Will have to drag out the 10'6...... Bugger, the swell is up ATM. Has anyone used the Sunshine Coast Stand Up Paddle Centre (in Caloundra) for repairs? 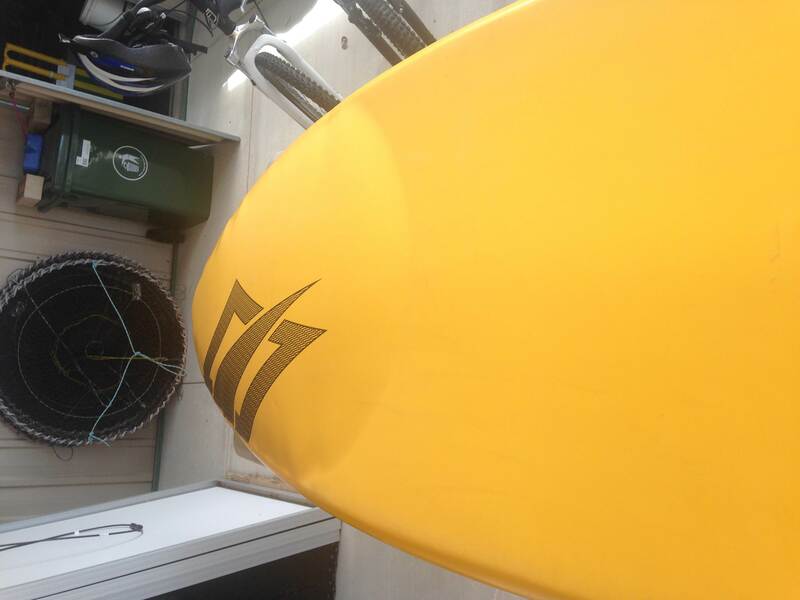 Bring your board into us at Ocean Addicts and we can have you back on the water in no time. Our repairer can take care of this fairly quickly with a positive result. In the mean time I can lend you one of my demo X32's while we sort your board out so you dont miss out on the swell! It looks like a classic delam from sitting in a hot bag on the roof of the car for a couple of days like you mention. However I would like to inspect the board and see what actually is going on under the bubble. Thanks mate...Was meant to get up your way today, caught up with the "Getting Back to Work Thing". Will see you tomorrow. yep take it into paul ,,,fantastic team….. I was heading up OA's direction. His service has been great. Will let you know how I go... Even post some Pics of the repair.